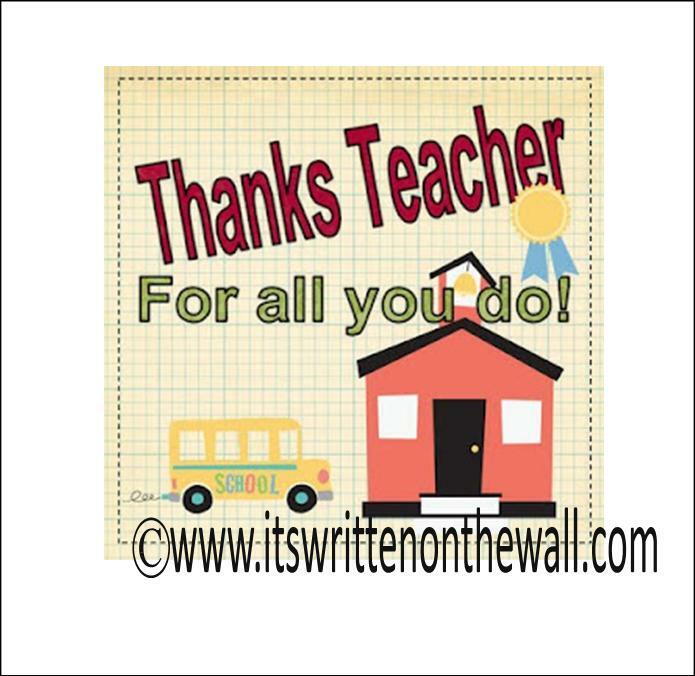 Thanks to all teachers for their hard work in behalf of our kids! 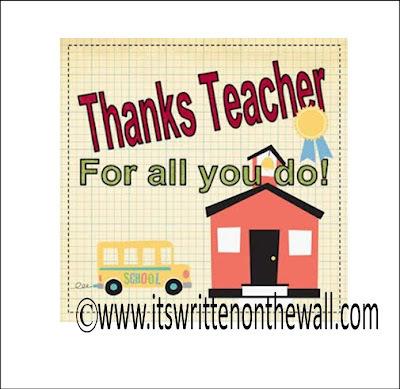 What a great way to welcome students to the classroom. 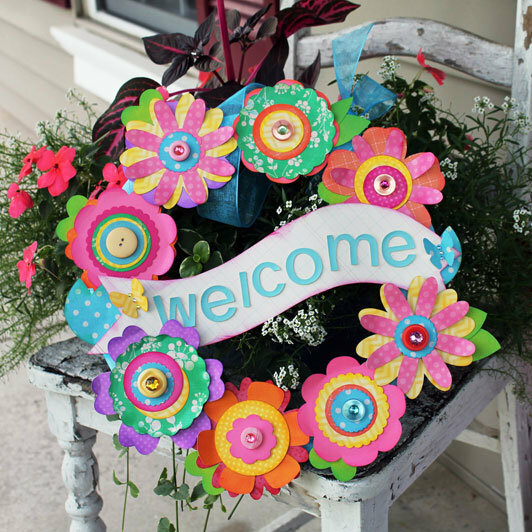 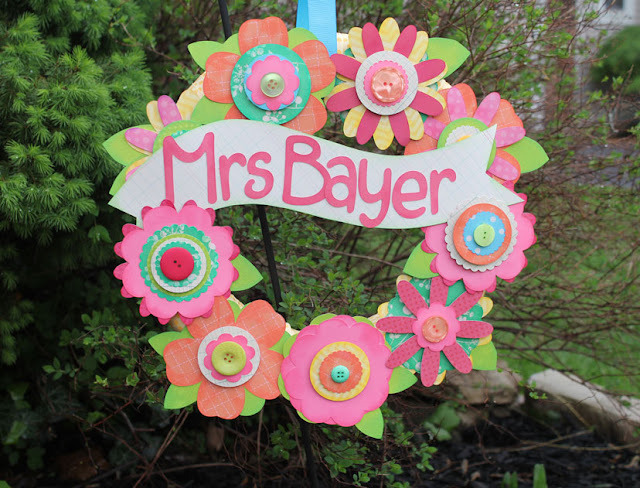 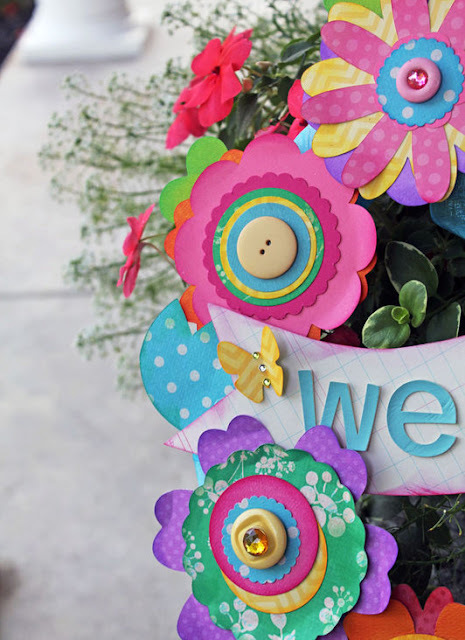 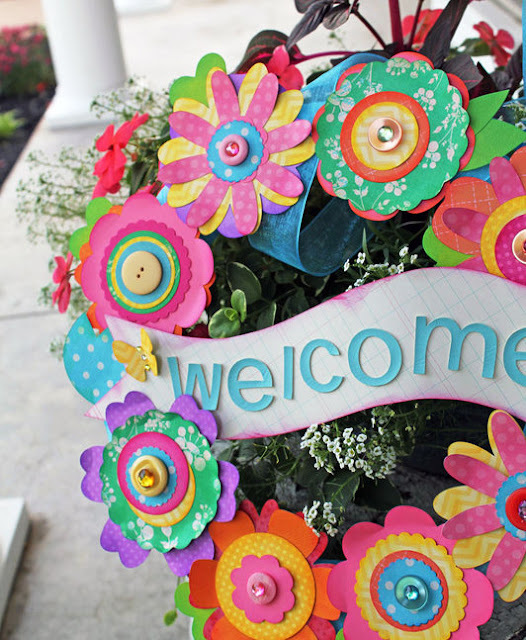 Love how colorful and welcoming this "Welcome" wreath is. 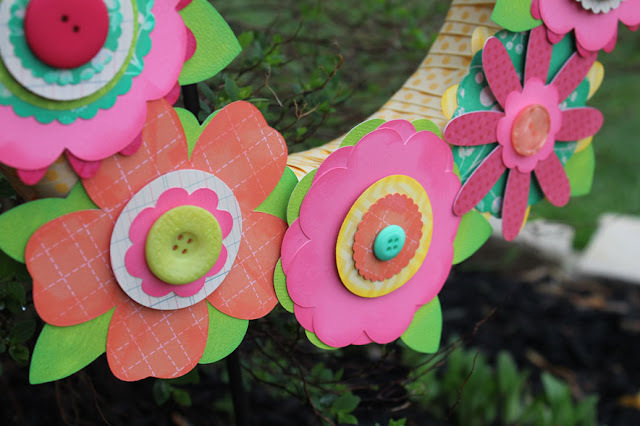 Flowers, Flowers everywhere!For those of you who live close to Pebbles In My Pocket...you could run over there and cut out all the flowers you want in no time.